Sell or Rent Your Property with us and gain multiple enquiries! 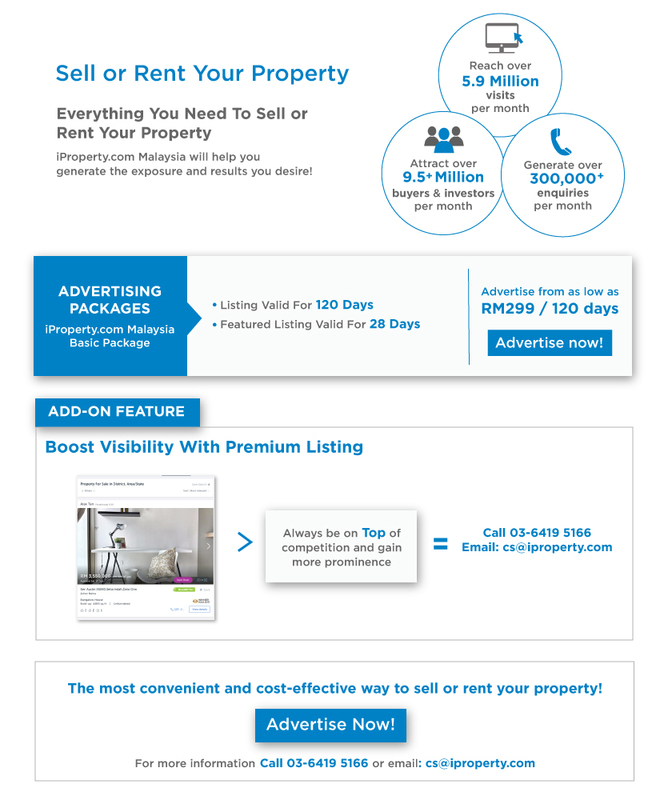 Post your advertisement on iProperty.com.my and reach millions of local and international buyers and investors actively searching for properties every month! Sign up for an iProperty.com Malaysia account and start posting your property listing immediately! Property Agents, we have special packages to cater to your needs. Select a package and drop us your details HERE and we will be in touch with you.